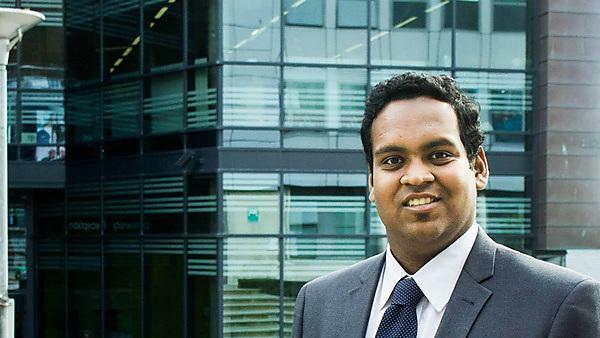 I completed my final semester project at the University of Plymouth in May 2015, which I used towards my MTech degree at SASTRA University in India. My career path has since been inclined towards a techno-management role. I am working with a company called Securifi, which manufactures smart Wi-Fi routers. Prior to that, I was working with the Indian School of Business for an initiative called the Technology Entrepreneurship programme, which aims to build entrepreneurial ways of thinking among engineering students who can develop great technology products. The best and most exciting thing in my career was building a navigational robot for a blind person. The robot had multiple capabilities which included voice recognition, haptic technology, and many more smart features. The whole journey starting from conceiving the idea till the final prototype stage was really exciting and best thing to do. Interesting question! As an exchange student I was able to spend only five months at the University working on my project. If given the chance, I would have opted to do my entire course at the University, given that the opportunities to learn were immense. Robotics and technology is a line of work which is challenging; it requires pure motivation and a driving force. My advice to anybody wanting to choose this field is to be update with new developments and determined about the technology industry. It is important to continuously learn: this will make you stand out. Studying at the University of Plymouth helped me to expand my thoughts within a broader spectrum. It gave me an experience and exposure which was very much required at that stage for me to become what I am now – 'A highly confident and motivated individual'. The University of Plymouth also helped me to improve my technical competence, which helped me to successfully complete my project. The University of Plymouth UK tag has added immense value to my whole career. You get an undue advantage from employers/researchers when they know that you were a student at the University of Plymouth. My favourite memory whilst studying at the University of Plymouth was spending days in the library amongst my peers. The diversity at the University makes you feel special and confident. My study group in the library had students from six different countries, which gives you a variety of insights and learning methods. These days were really special. I would one hundred percent recommend students to undertake a course at the University of Plymouth. This is a university for aspirational and smart minds. This is the kind of university which encourages students to pursue their passion and hit the road of success. For more information about studying robotics, please visit our MSc Robotics course page. For more information about our range of courses within the School of Computing, Electronics and Mathematics, please visit the school page.